A short history of information from the Big Bang to the modern complex economy. 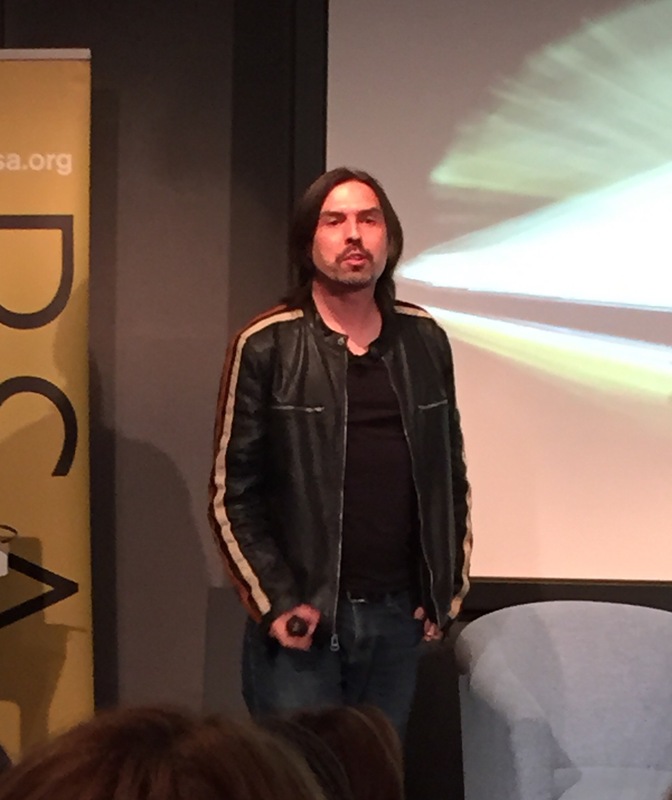 That was basically the entertaining talk Cesar Hidalgo, who leads the Macro Connections group at MIT Media Lab gave at the RSA last Thursday. He started with the universe made up of matter, energy and information. Information is expressed by how physical things are arranged and you need to spend energy to create information. Take a deck of cards – shuffle the deck and you have the same matter, but arranged differently. That is information. DNA is also information. For information to exist it needs to be embedded in matter. However, for information to grow – which is the subject of his investigation – it has to develop the capacity to compute. Computation is much more widespread that we usual think. For example trees are able to compute, he says – they know which way to grow their roots and their branches, when to shed and when to grow their leaves and how to fight off diseases. So living organisms can grow information but they are limited by their own internal physical properties as defined by their genetic codes. Humans are the only species to break through that limit. By using computation to make our imaginations real we grow the total amount of information. “Products are embodiments of imagination and information.” In other words we “crystallise imagination”. So why do we do this? In order to transmit the skill of others who you may never have met in the form of products. He provides a good example of how much value imagination provides. Take a supercar such as the Lamborghini Veneno which costs $3.9m. If you rearrange the matter in the car by crashing it into a tree at speed you still have exactly the same amount of matter, but after the crash the idea of the car is totally different and so is the value. So, humans found a way to crystallise information but we have a finite capacity to accumulate knowledge. So we need to organise the work in a network so that different people provide different parts of the puzzle. But embodying information in a network of people is hard and there are limits on the size of the effective network, trust being the key ingredient. “Trust reduces the cost of transactions,” as he puts it. Societies differ in their intrinsic levels of trust. Familial economies are low trust societies where only family members can be trusted. These societies therefore have small networks and basic industries and they tend to want the state to step in to solve all problems. High trust societies on the other hand have networks of people organised in firms and have larger and more complex industries (aircraft manufacture, for instance) . They tend to self-invent institutions to help them where they need it. Therefore the differences in income are differences in computational abilities, Hidalgo argues. As societies get more complex the next step up from networks of people in the growth of information is networks of firms. There is what Hidalgo calls a re-embodiment of computation in ever more complex structures. And economies highly nested and activities cluster together. It is therefore possible to predict quite accurately which categories of exports countries will move into by studying what they are exporting now. Thus he believes the information theory of economics is much more useful as an indicator of economic strength than GDP.